Whether you view work as a means to an end or your life's calling, your level of job satisfaction affects your mental and physical health. Find job satisfaction improvement tips. Job satisfaction -- how happy and fulfilled someone is with his or her job. It's kind of ironic that almost everything written about job satisfaction is written from the employer's perspective when the definition deals with the worker. For centuries, management gurus have tried to better understand employee job satisfaction and morale -- first theorizing that money was the way to make employees happy, then examining management styles, and finally deciding it had to do with things in the workplace called motivators and hygiene factors. But what about you? How does someone who wants to be happy at work -- and with your work -- change things to improve both the work and the work environment? Does anyone but the boss and higher-ups really have the power to make changes to improve individual job satisfaction? The answer, of course, is yes -- and this article will show you how and why you must make changes to improve your job satisfaction. First, we'll examine causes of dissatisfaction with your job. Second, we'll look at why job satisfaction is important to your health and well-being. Third, we'll review the career continuum and how it related to job satisfaction. Fourth, we'll make some suggestions for how you can improve your job satisfaction. Numerous studies suggest that job satisfaction level is an important factor influencing the health of workers. When you're unhappy and dissatisfied with your job and work situation, it tends to spread to other parts of your life. You tend to be unhappy and moody and more susceptible to health conditions that often lead to illnesses that cause absenteeism (sick days), which leads to further conflicts and dissatisfaction -- in an ever spinning downward spiral. Negativity is a disease that drags our entire health downward. Changing your job situation may not have you jumping for joy on Sunday evenings -- but it beats the dread that many feel as the weekend concludes and the trepidation of another week of work looms heavily on your mind and spirits. In worst-case scenarios, workers with very low job satisfaction develop depression and other mental disorders. If you are unhappy at work and have little or low job satisfaction, you must take actions to improve your employment situation -- your health and happiness depend on you doing so. To truly understand how you can improve your level of job satisfaction, you first need to understand how you view work and your career. Understanding how you view these elements plays a major role in improving job satisfaction. Let's look at two extremes of the career continuum -- and you can see where along that path you fit. On one end is the view that work is just a means to other things in life -- that a person is not defined by their work but by other more important roles (such as spouse, parent, etc.). On the other end is the view that work is extremely important in defining who we are -- that our work helps give our life meaning. If you fall on the first end of the continuum, then increasing job satisfaction revolves around finding ways to make the job more helpful and supportive to your other roles. Things like job flexibility, telecommuting, other work-life balance programs may increase your job satisfaction when they allow you to focus on the roles you find most important. Other issues that may drive you are wages and perks -- things that you can use to make your life better. If you fall on the other end of the continuum, then job satisfaction revolves around the value you place on your work and the potential impact it can have on others. Finding a job or career that lights your career passion -- that you see as your life's calling -- are important to your job satisfaction... and indeed, your life satisfaction. Other issues that may drive you are continuing education perks so that you can deepen your expertise. For those of us in the middle somewhere, where we value our job and career but do not necessarily see it as the defining element of our lives, improving job satisfaction is about finding the best career path, moving up the ladder, and holding a job that fulfills us while allowing us to also achieve other things outside of work. Other issues that may drive you are job titles, bonuses, and other honors and recognition of your achievements. Once you understand how you view work and career, you'll have a better understanding of the types of things that can improve your job satisfaction. Your next steps are then to develop a strategy for enhancing your job satisfaction by taking action -- with your current employer or with a new one. Once you increase your job satisfaction, your mental outlook will improve -- and so will your overall health and wellness. See also my article, Tips for a Successful Career -- Loving Your Work and Life. Interested in reprinting or republishing this article? Please refer to our Article Reprint Guidelines. Randall S. Hansen, Ph.D., is an avid bicyclist, adventurist, environmentalist, and student of wellness and photography, with a mission of empowering others to lead great lives. He is Founder and CEO of EmpoweringSites.com, a network of empowering and transformative Websites. Dr. Hansen is also the founder and caretaker of this site, EmpoweringRetreat.com, as well as founder of EmpoweringAdvice.com, MyCollegeSuccessStory.com, and EnhanceMyVocabulary.com. He is a published author, with several books, chapters in books, and hundreds of articles. He's often quoted in the media and conducts empowering workshops around the country. Dr. Hansen is also an educator, having taught at the college level for more than 15 years. Learn more by visiting his personal Website, RandallSHansen.com or reach him by email at CEO(at)empoweringsites.com. You can also check out Dr. Hansen on GooglePlus. 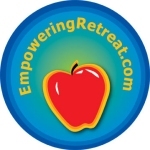 Back to EmpoweringRetreat.com: Empowering Work-Life Balance Resources. Copyright © EmpoweringRetreat.com. All Rights Reserved.